Want to win some great Lego Prizes and/or VIP tickets to the St George Brickfair 2018? 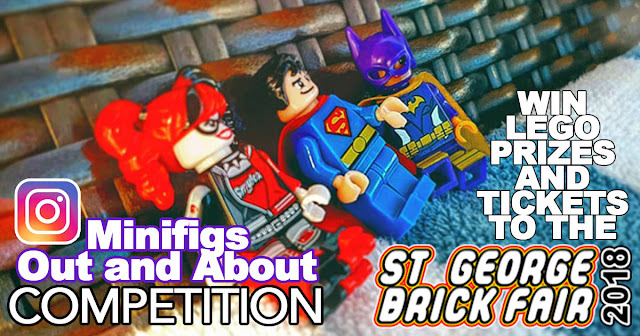 As part of the lead up to the 2018 St George Brickfair, we are running the "Mini-figs Out and About" competition. 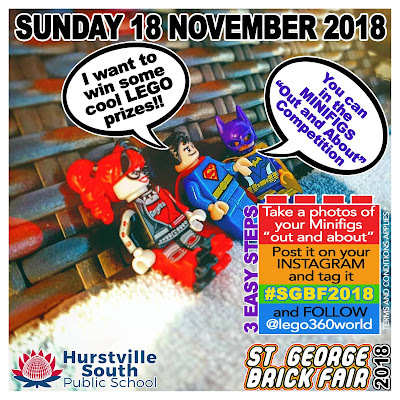 You have to follow 3 easy steps and you are in the running for Lego prizes and or VIP tickets to the 2018 St George Brickfair. This competition is open to everyone and we encourage parents to either help their kids with their creative Instagram post or post photos of their own. Make sure your submission is in before 5pm 16th November, 2018 so that we have a chance to review all the entries before the St George Brick Fair on Sunday 18th November, 2018 between 10AM to 4PM.